I just bought a car, how do I get a title and register it? Take all paperwork you received from the dealer to your local county treasurer’s office to pay your excise tax and registration fees. The county treasurer calculates the tax, title, lien filing, and license fees for you. This must be done within 30 days of the vehicle purchase. Excise tax is 3% of the total purchase price (this includes rebates, extended warranties, service contracts, and document fees). Tax credit is granted on the dollar amount of the trade-in—only if the trade-in is titled in the new applicant’s name. Registration fees are calculated using the weight and the age of the vehicle. Credit is granted on registration fees if you traded or sold your currently registered vehicle (must be registered in South Dakota and not yet expired). View the full registration/license fee schedule. Remember to take the South Dakota license plates from your vehicle if you did a trade as license plates stay with the owner, not the car. Recently, South Dakota and Iowa did a joint webinar to help inform taxpayers of Border Sales/Use Tax Issues. Watch the webinar to learn more about these taxes and read below the Questions and Answers that were brought up during the webinar. Watch more of DOR's E-Learning videos. Q: We have a client that provides marital arts instruction. They also sale gear, uniforms, etc to their customers. They have a location in Iowa and South Dakota. All fees are collected at the Iowa location and the customer can use either location. Which parts are taxable, and in which state do we pay the tax? A (Iowa): Martial arts instruction is not a taxable service in Iowa. The sale of the gear, uniforms, etc. is the taxable sale of tangible personal property and Iowa tax is due if delivery occurs in Iowa. A (South Dakota): Clubs that have multiple locations are taxed where the member receives their membership information. If they purchase at a club location, tax applies there. If purchased on-line, by phone, or mail, tax applies based on the member’s address. Use tax would still apply on any equipment or items used at the South Dakota location where no sales tax was previously paid. Any products sold would be subject to sales tax based on where the customer first takes possession of the item. Q: Our facility is located outside city limits....so if i have a computer delivered and set up we only pay the state tax but if I have filters that go into our trucks delivered to our office we put them in the trucks and drive to town I will need to pay the city sales tax? Am I understanding this correctly? A (Iowa): For Iowa purposes, if delivery occurs in a local option area, both state sales tax and local option sales tax will apply. If delivery occurs outside of a local option tax area, then only the state sales tax applies. This is assuming that the customer is not tax exempt for some reason. A (South Dakota): City tax is applied the same as state tax. Tangible Personal Property (TPP) is taxable where possession is taken. If the item is later used in a city that imposes a city tax, that city tax is due, however, credit is given for any city tax previously paid. Q: If we purchase an item from another state to be used in city in IA that has a local tax of 1%, would we only owe 6% use tax and not the 1% local option tax? A (Iowa): That is generally correct. The Iowa consumers use tax rate is 6%. The local option tax does not apply to use tax. Q: When filing our SD sales tax return, should our gross sales reflect all gross sales from all states, or only our gross sales in SD? A (South Dakota): If your business is located inside South Dakota then gross sales should include all sales (taxable and non-taxable) made in South Dakota and all states. Out-of-state business should include only their South Dakota sales in the gross sales line. Q: Question regarding IA exempt services. My company manufactures bulk commodity trailers, we also have repair shops where we will repair a customers trailers. These are licensed vehicles. Bullet #4 does not pertain to our repair of a customers trailer correct? This question would be for both SD and IA. A (Iowa): The repairs would be taxable in Iowa. The bullet point referenced, “Services that recondition or repair tangible personal property when that property is normally sold in the regular course of the retailer’s business,” applies to repairs on merchandise not yet sold. A (South Dakota): Services such as trailer repair are subject to state and municipal sales tax. These services are taxed according to where the customer receives the repaired item. Tax applies at the customer’s location if the item is delivered to the customer’s location after the repair is completed. Tax applies at the repair shop if the repaired item is picked up at the repair shop. Q: We have a Nebraska company delivering pop to a SD location and they are not charging SD tax. They are in process of updating tax software. Can we include tax in payment of invoice? A (South Dakota): Additional information is needed to properly answer the question. We need to find out how the product is being used in South Dakota; more details are needed about the transaction. Please contact the South Dakota Department of Revenue at 1-800-829-9188 for clarification so we can provide you the correct answer. Q: So in Iowa, if an employee cleans the business office where they work for the employer to make extra money, the employer doesn't have to add sales tax to the amount paid to the employee? A (Iowa): If you performed this service as part of your duties as an employee, no tax is due. If you are being paid outside of your duties as an employee as an independent contractor, then sales tax will be due. Q: On your reciprocity example where the computer was purchased in SD and you still owe IA 2% sales tax - how do you put that on the report? A (Iowa): You will need to back into the correct amount due in order to make this work when you file your Iowa sales or use tax return. In other words, enter an amount that when multiplied by the Iowa state rate of 6%, will result in the correct amount of additional tax due. Q: For Iowa, if we are a law firm that sometimes travels to Iowa for court or other business, do we need to get a permit? A (Iowa): The services of an attorney are not taxable services in Iowa, so no Iowa sales/use tax permit is needed for these services. Q: Do we need to have farmers fill out exemption certificates if the purchases they are making are non taxable items, such as livestock feed and medicine? A (Iowa): For Iowa purposes, an exemption certificate is required to document non-taxable purchases in this situation. A (South Dakota): State law exempts certain products or services from sales or use tax based on how the product or service is used. If there is doubt as to the intended usage for agricultural purposes on items that could be exempt, the seller should obtain an exemption certificate signed by the farmer. Medicines for livestock and pets are subject to the 4% state sales tax, plus applicable municipal tax. Medicine mixed with feed or feed supplements prior to being sold are not registered as remedies, but as feed supplements. Feed supplements for livestock are exempt from sales tax. More information on the agricultural industry can be found at http://dor.sd.gov/Taxes/Business_Taxes/Publications/PDFs/agriculture0713.pdf or by calling the South Dakota Department of Revenue at 1-800-829-9188. South Dakota requires that people who engage in the business of selling vehicles, whether exclusively or in addition to any other occupation have a motor vehicle dealer license. All businesses must become licensed with the Division of Motor Vehicles before any sales transactions may occur. Also, it is recommended that applicants contact the division prior to submitting a license application to make sure that the name you want to use for your business is not already in use. All licensed dealers are required to use the on-line system, SD Cars. For more information, please contact the Division of Motor Vehicles at: motorv@state.sd.us; phone 605-773-3541; or Fax 605-773-2549. Dealer Agents are available across the state to answer questions, provide information and training. Join the Department of Revenue, Division of Motor Vehicles! The Division of Motor Vehicles is seeking a motivated individual to lead the Dealer Program and Field Services section. This position will oversee all licensed vehicle dealerships in the state by monitoring overall compliance with South Dakota law; while examining efficiencies and developing plans for productivity improvements in the program. The Revenue Supervisor will directly oversee the staff within the Dealer Program who support the licensed dealers with training and instruction on compliance and procedures, enforcement of laws and regulations, investigation of complaints and violations, and answering questions dealers may have about the Dealer Program and the titling process. The incumbent must learn state laws related to tax, titling and registration of motor vehicles and laws related to motor vehicle dealer licensing. The Revenue Supervisor will work directly with licensed dealers or applicants to educate them and their staff on licensing laws and requirements. This involves visiting dealerships to meet with dealer staff and review business practices. The Revenue Supervisor must also continuously look for ways to improve policies, practices and customer service. Duties will include prioritizing and monitoring staff activities, providing technical assistance on licensing and renewal requirements, bonding and insurance requirements, dealer plates and permits and record keeping regulations. This position will work closely with Licensed Dealers, County Offices, public officials, and other customers to provide technical guidance; and provides information on licensing/renewal requirements, principal place of business requirements, bonding and insurance requirements, fees, dealer plates and permits, title and registration, record-keeping requirements, violation penalty provisions, etc. If interested, learn more about the position and apply! All supplies and equipment the committees or candidates purchase, that will not be resold, are subject to sales or use tax when purchased. Promotional items given free to the public, contributors, or staff are taxable when purchased. Learn more about the Department by reading the Education Catalogue. The catalogue is broken into sections explaining which Seminars are available in each Division. Questions regarding any seminar, contact our Business Education Coordinator, Jean Person at 1.605.773.3311 or email at business.education@state.sd.us. The sale of fishing or hunting services and products are subject to state sales tax. Tourism tax, municipal sales tax, and municipal gross receipts may also apply. You may purchase food, beverages and ammunition you sell separately or as part of your fishing or hunting package without sales or use tax. You must pay sales or use tax on any item you purchase that is not being sold and any item that is used or consumed by your business. Read the Fishing and Hunting Services Tax Facts for information on taxes that apply to these services. Learn more information regarding DOR's Tax Facts. Sign-up for the DOR Newsletters at dorsocmed@state.sd.us. Sign-up for one of our Basic Tax Seminars in Aberdeen or Mitchell. These seminars offer information about Sales Tax and Contractors' Excise Tax. how to file sales tax returns by paper and electronically through EPath. how to file contractors' excise tax returns by paper or electronically through EPath. Classes will be offered in Aberdeen, July 15th and Mitchell, July 16th. For more information regarding these classes, contact Jean Person, Business Education Coordinator at 605.773.3311 or business.education@state.sd.us. Due to the 4th of July next Friday, the next week's EPath payment date is changed to Thursday, July 3rd. To make a payment on July 3, you will need to submit your payment on or before July 1st. This date is listed in the payment date drop-down box. If you have any further questions, review the EPath Help or contact the DOR office at 1.888.829.9188. Effective immediately all air transportation services are not subject to South Dakota sales or use tax. The Department of Revenue has determined that the Federal Anti-Head Tax Act (49 United States Code § 40116) of 1973 exempts gross receipts received for intrastate and interstate air transportation services from South Dakota sales tax. Your business is still responsible for sales or use tax on the sale of any taxable product or service. Aerial sightseeing services (i.e., airplane, helicopter, balloon, dirigible and blimp rides. Air transportation services provided with other taxable services for one non-itemized charge are taxable. For example: Sky diving lessons are subject to sales tax. If there is a single charge for the lessons and flight, the entire charge is taxable. If the charge for the lessons and flight are separately stated, the charge for the lessons are taxable and the charge for the flight is exempt. Our agents are available to assist you with any questions you may have. You may contact the Department at 1-800-829-9188 or you may visit one of our field offices located in Aberdeen, Watertown, Sioux Falls, Yankton, Mitchell, Rapid City or Pierre. POINT OF POSSESSION: Sales tax applies where the customer receives the product or service. Products or services delivered to a location outside of South Dakota are not subject to South Dakota sales tax, but may be subject to that state’s tax. Sales to non-residents are taxable if possession is taken in South Dakota. MUNICIPAL TAX: Cities may impose a tax of up to 2% that applies to all products and services that are subject to the state sales or use tax. Municipal tax applies when a product or service is used, stored, or consumed within a city that imposes a tax. USE TAX: The purchaser, or consumer, is responsible for paying use tax. Use tax applies on all products and services that are used, stored, or consumed in South Dakota when South Dakota’s sales tax has not been paid. State and municipal use tax rates are the same as the State sales and municipal tax rates. RECIPROCITY: Credit is allowed for sales or use tax legally due and paid on a product or service in another state against the amount of tax due in South Dakota if the other state provides a like credit. additional tax is due in South Dakota. w If the tax paid to another state is less than the South Dakota state and municipal tax, the difference in the tax must be paid to South Dakota. Example: A computer is purchased and picked up in Nebraska for use by a Sioux Falls business. The Nebraska store is paid $527.50 ($500 + 5.5% Nebraska sales tax). Because the South Dakota state plus the Sioux Falls municipal tax is 6%, the difference of $2.50 must be paid to South Dakota. Transient vendor season is underway in South Dakota, a time when out-of-state vendors roll into the state to sell their products and services. While many of the vendors are legitimate, the South Dakota Department of Revenue advises people to take common-sense steps to ensure vendors are reputable before doing business with them.  Ask for a price quote, in advance, in writing.  Question the contractor about a permanent address and telephone number, and do not assume that if the information they provide is local, they are a local business. Transient vendors often have business cards printed with local mailing services or motel addresses and telephone numbers.  Ask for a list of local references and check them before making a decision.  Ask if the contractor has worker’s compensation and general liability insurance. If vendors are not properly insured, homeowners may be liable for accidents that occur on their property.  Be careful about paying for work in advance; before making final payments, make sure transient vendors have paid their local suppliers or you may be held liable for unpaid materials.  Make sure you are completely satisfied with the work before paying the bill, and do not pay more for the job than originally quoted unless you have given written approval for the additional work or cost.  Question the salesperson about the product, warranties, guarantees, etc.  Get something in writing with the company’s name, address and phone number.  Ask to see their current South Dakota tax license. State law requires everyone selling products or services to have a current South Dakota sales or contractors’ excise tax license. To verify if the license is valid, call the Department’s toll-free helpline at (800) 829-9188. All sellers must provide you with a contract or receipt at the time of sale showing the date, the merchant’s name and address, and a statement informing you of your right to cancel the contract within three days. After proper cancellation, the seller has 10 days to refund your money. consumerhelp@state.sd.us. Be prepared to give as much information as you can about the vendor, including the name of the company and salesperson; company address and telephone number; and make, model and license number (if possible) of the vehicle the vendor was driving. Without tips from the public, law enforcement officials may not be able to catch illegal vendors before they move on to the next community. 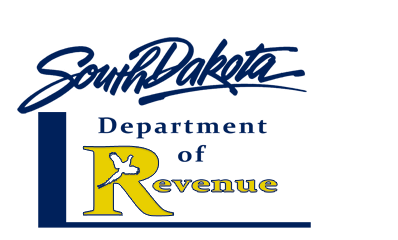 For more information on transient vendors, contact the South Dakota Department of Revenue’s toll-free helpline at (800) 829-9188, press "1" for the Business Tax Division. What is the Municipal Gross Receipts (bed, board, and booze) tax? Additional information on this tax can be found on page 9 of the Municipal Tax Guide, 1.800.829.9188 or bustax@state.sd.us. The prime contractor’s contract determines the tax application for all subcontractors. If the prime’s contract is for a qualified utility construction project subject to tax under 10-46B, the subcontractor’s contracts are also subject to tax under 10-46B. Owe 2% contractors’ excise tax on their gross receipts. Include the value of material furnished by the owner in their gross receipts subject to the contractors’ excise tax. Owe 4% state, plus applicable municipal use tax on material they furnish for the contract if sales or use tax was not previously paid. Must issue prime contractor exemption certificates to all subcontractors. Do not owe the 2% contractors’ excise tax IF a prime con- tractors’ exemption certificate is received for the project. Owe 4% state and applicable municipal sales or use tax on material the subcontractor furnishes for the contract. Do not include the value of the owner furnished material in their gross receipts subject to the contractors’ excise tax. Owe 4% state and applicable municipal use tax on materials furnished by the owner if the owner does not document sales or use tax was previously paid. Owe 4% state and applicable municipal sales or use tax on material they furnish for the contract. Cannot issue prime contractor exemption certificates to subcontractors for a qualified utility project. Cannot deduct amounts paid to subcontractors in determining gross receipts subject to the contractors’ excise tax. Owe 2% contractors' excise tax on their gross receipts. Cannot accept a prime contractors' exemption certificate for a qualified utility project. Learn more about Contractors' Excise Tax. Are you Planing to be a Vendor at the 2014 Sturgis Motorcycle Rally? All vendors must have a Temporary South Dakota Sales Tax license for selling or displaying a product or for providing services at the Sturgis Motorcycle Rally. You must complete a new application each year. If you have a Permanent South Dakota Sales Tax license, but are operating in a temporary location during the Sturgis Motorcycle Rally, you need to apply for the Temporary South Dakota Sales Tax License. If you are a first time vendor you must post a $500 bond. If you attended last year’s rally and filed and paid your sales taxes on time, you do not need to post a bond. If you filed or paid your sales tax after the due date in 2013, you will need to post a bond. Please contact the Department of Revenue at 605-394-2332 to determine bond amount. If you were a vendor in the past but did not attend in 2013, you will need to post a $500 bond. We accept cash, business checks, cashier’s check, or money order. We cannot accept credit cards. Please do not send cash through the mail. Bond is held as a deposit and will be mailed back to you when the rally has ended and your final sales tax return has been filed and proper sales tax has been paid. You can submit application electronically by clicking the “Send Electronically” button at the bottom of the application form. STEP 4: Receive your Temporary South Dakota Sales Tax license card and information packet. Pre-registration is available from April 1 to July 1, 2014. If you apply between those dates, your packet will be mailed to you. Bond (if needed, see Step 2) must be received by Department of Revenue before license card and packet will be mailed. PLEASE BRING LICENSE CARD WITH YOU when you come to the rally. If you prefer to pick up your packet when you arrive in Sturgis, please mark the “held in office” box on the application. From July 1 to July 28, you may go to the SD Department of Revenue office in Rapid City at 1520 Haines Ave Ste 3 to pick up your license card and packet. Beginning July 29 at 1:00 pm, you will need to go to Sturgis City Hall at 1040 2nd St to pick up your license card and packet. Please review the office hours for the Department of Revenue’s office at Sturgis City Hall. Is DOR the right fit for you? Join the DOR Team and Apply now! This position performs professional level accounting and routine audit work that requires the application of basic accounting principles, control procedures, and/or audit techniques following established procedures and/or standard practices. The incumbent will work with the Lottery gaming system and vendor gaming systems to monitor and record instant and on-line game transactions. This activity includes ticket sales, prize expense, commission expense, federal withholding, accounts payable and retailer payments. The duties of this position qualify towards the hourly work requirements to receive certified public accountant accreditation. The Department is looking for individuals to fill two Revenue Agent positions; the first is within our tax discovery unit; the second is a member of our phone bank center. Revenue agents provide taxpayer education, support, and compliance enforcement, including collections. Successful candidates should possess knowledge of accounting and business administration; have oral and written communication skills; and possess the ability to deal tactfully with taxpayers and other professionals. The nature of the work requires investigative skills, independent judgment and logical decision-making in the application of statutes, rules, policies, written guidance, and technical criteria based on the facts presented. This position is responsible for the coordination of marketing, sales and promotional activities of instant scratch and lotto tickets with lottery retailers in a defined territory. Responsibility includes establishing new lottery retail accounts and maintaining existing accounts through training and instruction of lottery rules, regulations, and policies. Sales Representatives also recommend promotional activities, provide and set up display materials (must be able to lift up to 40 lbs. ), assist lottery retailers with ticket accounting issues and maintain good customer relations. This position may assist with the licensing, inspection, and investigations coordinated by the Video Lottery division of the South Dakota Lottery. A valid driver license and a substantial amount of driving is required - between 200 to 400 miles per week. Lottery sales representatives occasionally work nights, weekends, and holidays due to special events, weather, and unforeseen circumstances. The Department of Revenue is seeking an attorney to perform a wide variety of legal services dealing with tax audits, business tax administration, property and special taxes, state administration of motor vehicles, and lottery and gaming. Responsibilities will include representing the Department before the Office of Hearing Examiners, Circuit Court, South Dakota Supreme Court and Federal Court, including the preparation of briefs and participation in oral arguments; providing legal support to all divisions within the Department; drafting administrative rules and assisting with the promulgation process; and providing legal opinions and advice to Department staff. Applicants must be a graduate of an accredited law school and be a member or eligible for admission to the South Dakota State Bar. This web page has instructions for activating Java based on a different browser options. Information from wikipedia.com, activatejava.org, and whatismybrowser.com were used for this update.